I love eating Ben and Jerry's Cherry Garcia ice cream, so I decided to embark on making the Chocolate Cherry Scones. Recipes with liquor intrigue me and I am especially partial to cooking with brandy. When I saw Kirsch as an ingredient, I knew this was going to be a hit. The cherry syrup was quick and easy to make. The sifting of dry ingredients into the flour is now second nature. When adding butter, I now cut the butter 1/4 inch cubes so when added to the flour mixture, it incorporates easily and I don't have to break up the butter with my fingers. I use two metal scrapers to cut the butter quickly and so that I do not to touch the butter. Using a stand mixer makes it easy to mix and I like the way the dough wraps around the paddle. The dough is not crumbly but moist, unlike all other scone recipes I've used in the past. When it was time to add the cherries and chocolate chunks to the dough, I was concerned it would be messy. Everything stayed in tack. In previous recipes, fruit and nuts would not incorporate well. I guess it's time to leave my baggage behind and move forward. I refrigerated the dough for the two hours, then scooped out 12 2.5 inch scoops and froze them overnight. Each one weighed 72 grams. The instructions state they can be frozen for up to one month. TK, I'm sorry to say but that frozen scone dough will never last that long in our freezer. These are too delicious to be frozen that long. But good to know. So I baked the scones for 18 minutes instead of 32-35. My oven needs to be calibrated. Once they came out of the oven, I brushed the glaze over them. The tart cherries and chocolate went well with the scone which was not too sweet. The glaze brought all the flavors together and of course the scones were very moist. I am definitely going to make these again and again. Found cherries easy enough. Followed recipe. This was as easy as shortbread. Came together perfectly. I found the scones almost harden after they are refrigerated for the night (after final bake). If you try to eat while still warm, they are very crumbly, but still really good. I will make once more, and take a better pic. I loved the flavor combination of chocolate and cherries. A winner! This is one of the best scone recipes I have worked with. Simple to combine all of the ingredients and I really appreciated the scoop to loosely shape them. I measured them out to the 72g standard, froze them, and reserved a batch to bake for the trip to Bouchon Bakery. Cherries are my favourite fruit - okay figs too - and soaking them with Kirsch and vanilla bean made them extraordinary. I used a conventional oven as always - though I am really eager to get the convection fixed on our Viking here at the house, especially for more macarons. Baking them frozen worked wonderfully well. They developed a crisp rich brown exterior but maintained a nice amount of moisture in the center. The glaze helps to amplify the cherry flavour - it seemed more diminished in the finished scones than I anticipated. After making the plain scones last week, I was confident going into this week's recipe. 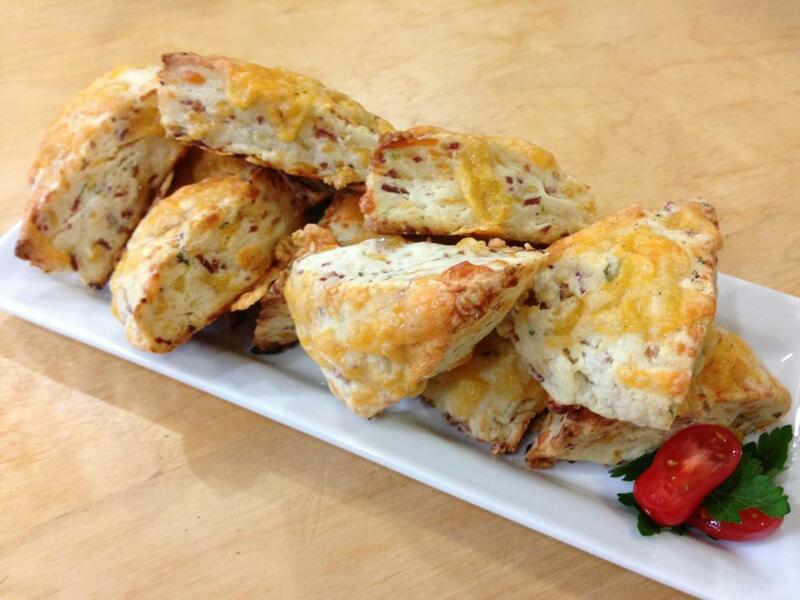 I chose to make the bacon cheddar scones, because everything is better with bacon! The dough was made easily, just like the plain dough. I did use actual creme fraiche this time. I first made the bacon, which I baked in the oven on a rack set over a cookie sheet for 20 minutes at 425. I prefer baking bacon, if I'm making a large batch at a time. It's quicker and there's less grease. For the cheddar, I used a great white cheddar, Kerrygold Dubliner. Very sharp and delicious. I realized I didn't have chives, so had to go back to the store to get some. I added all the ingredients into the scone dough, and boy, it gave my mixer a workout! I shaped the dough into the rectangle and chilled it for 2 hours. Then I cut it into 12 rectangles and froze them overnight. The next day I prepped the scones for baking, adding the cream, more cheddar, and black pepper. OMG the smell from the oven was amazing! I couldn't wait for them to come out so I could dig in. They did grow a bit in the oven again, but they got nice and golden brown. I will definitely make these again and again, for parties or just because. I love that you can make the dough one day and freeze it to bake another day. Then you can have fresh scones anytime! PS- I brought these in to work for everyone to share, and they disappeared in under 30 minutes! No food styling for these scones.They looked and tasted so good they never made it off the sheet pan. Truly these are the best I have ever tasted. The star ingredient here is the cake flour. It makes for a more crumbly, delicate texture. The scone is incredibly moist. When using 100% all purpose flour the scones, I find they turn out flakier and denser, which are not bad qualities, but I think using the cake flour is genius and will never look to another recipe again. A couple notes for this specific scone, to get the cinnamon chunks, you essentially make a compound butter, freeze and cut into cubes to incorporate in the plain scone dough. Note, this recipe calls for freezing twice and refrigerating once. Next time I'd incorporate the cinnamon cubes a bit more to create a more swirled pattern. The scone recipe asks for creme fraiche so I made my own. 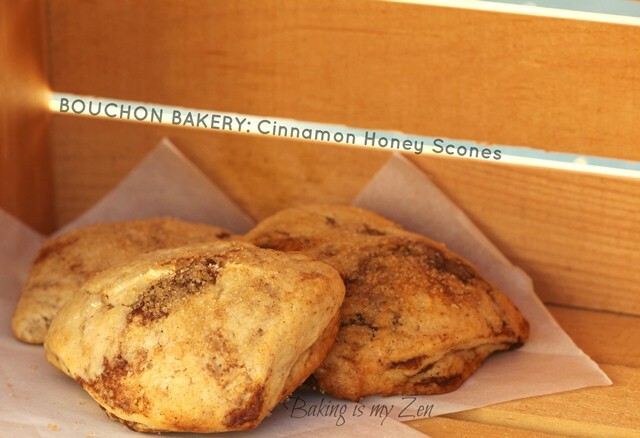 I think that this is the best savory scone that I have ever tasted! I used Dubliner Cheddar (Kerrygold) and the Hobbs Bacon and they were excellent (if I do say so myself). I used a convection oven and preferred that to the conventional oven I used last week with the plain scones. Just like the book said, they browned more evenly and had a nice rise. I will definitely add this scone to my repertoire!! 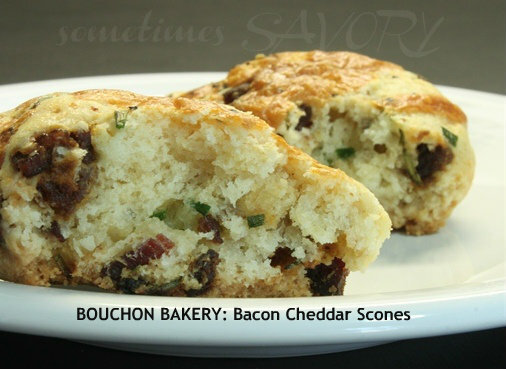 This is the best savory scones we've tried! I'm so glad we saw your posting on the blog. We we're inspired to try out the recipe. We made a few modification to the original recipe by replacing the pork bacon with a lean turkey bacon. We changed the cheese from a white cheddar to a colby jack and pecorino, only because that was what we had at home at that time. Replaced chives with green scallions and replaced the creme fraiche with a whole milk greek style yogurt. We followed the rest of his techniques with all the minor tweaks to the ingredients. We'll definitely make this again when we have all the ingredients in his recipe. They were baked in convection for the full 23 minutes. I didn't cut them as small as the recipe called for (I cut them the size that the basic scone recipe directed). I thought these were fairly easy and the dough was much firmer and easier to manipulate than the recipe I normally use. The crumb is fairly fine. 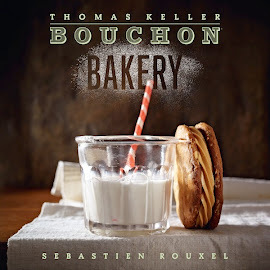 I wonder if most people would like these, as they are not very sweet at all, and I think the texture is more like a large biscuit than the scone I'm used to. (I like that they're not sweet, but I prefer the larger crumb of my go-to recipe.) My in-house taste tester said he loved it.